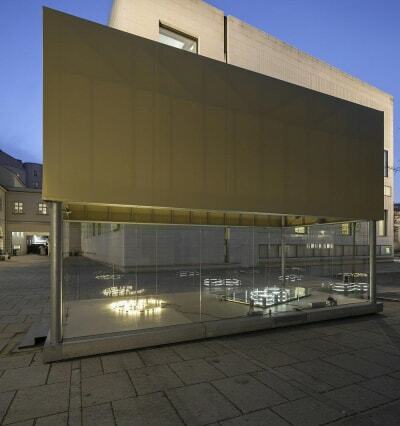 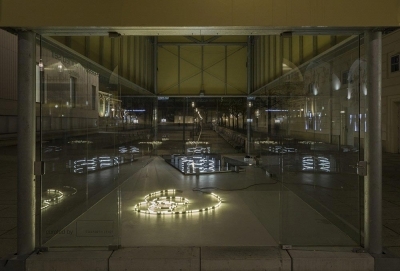 Brigitte Kowanz has developed a site-specific installation for the ArtBox in the MuseumsQuartier. 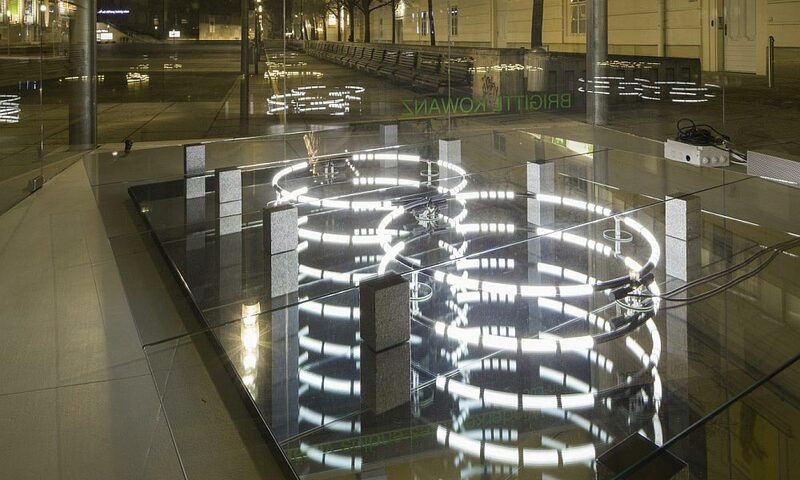 “The return of the endlessly modified self” – real and virtual space merge into one another. 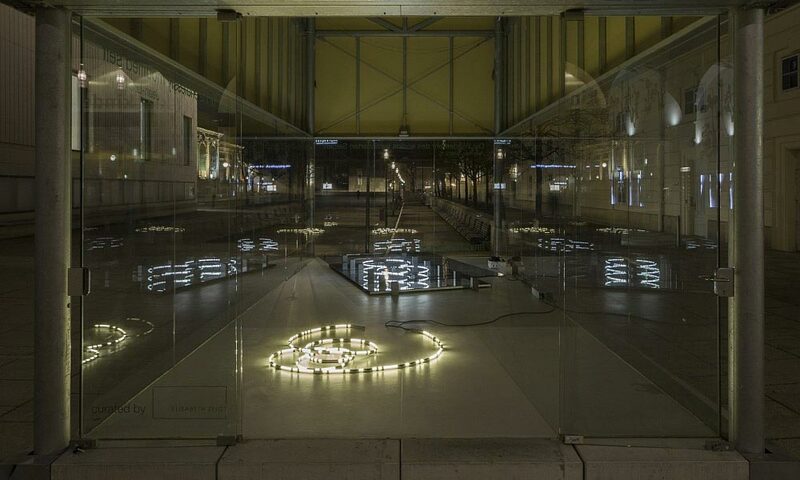 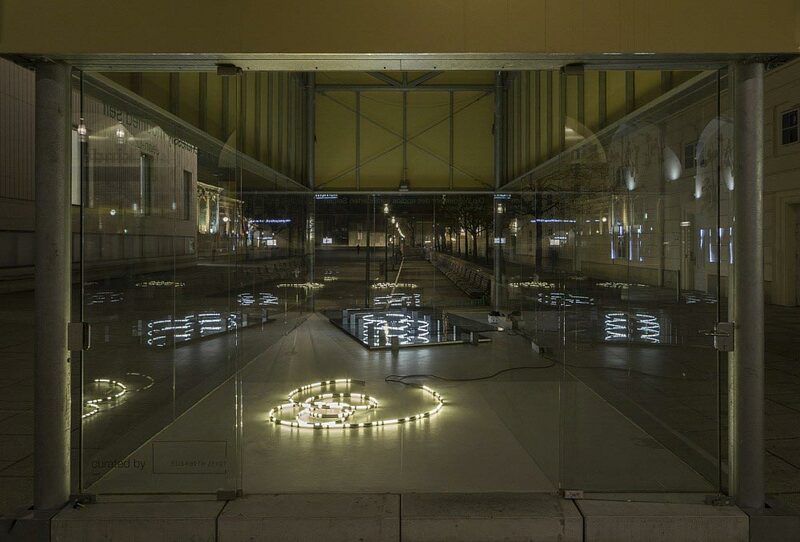 Through the transparency of the glass panels and the effect of the illuminated mirrored base, the constantly changing surroundings of the MuseumsQuartier become an integrative part of the installation. 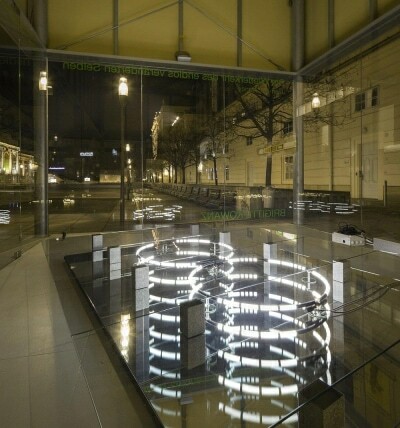 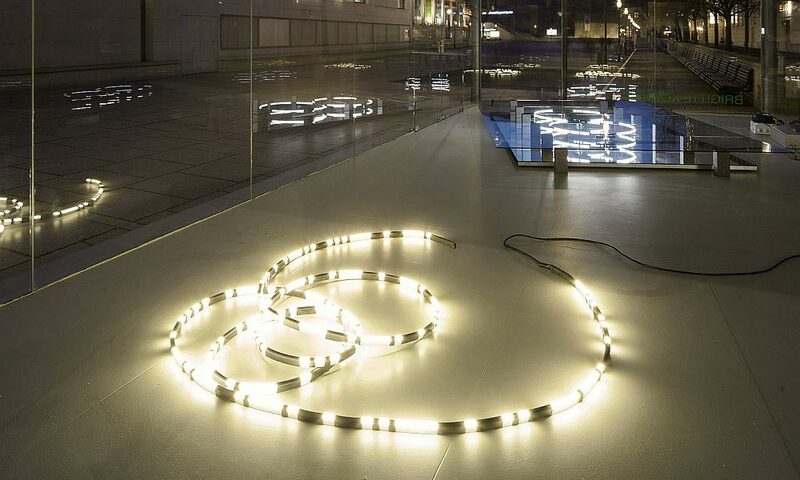 Natural and artificial light coming from outside alter the installation during the course of the day and at night; at the same time, the installation affects its surroundings. Through this virtual interplay the borders between “inside” and “outside” are dissolved. 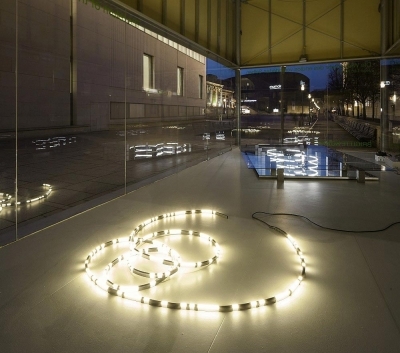 Here light takes on a space-creating and transitive potential, while also appearing fleeting and expansive, making it possible to experience the ambivalence and polarity immanent to the medium of light.